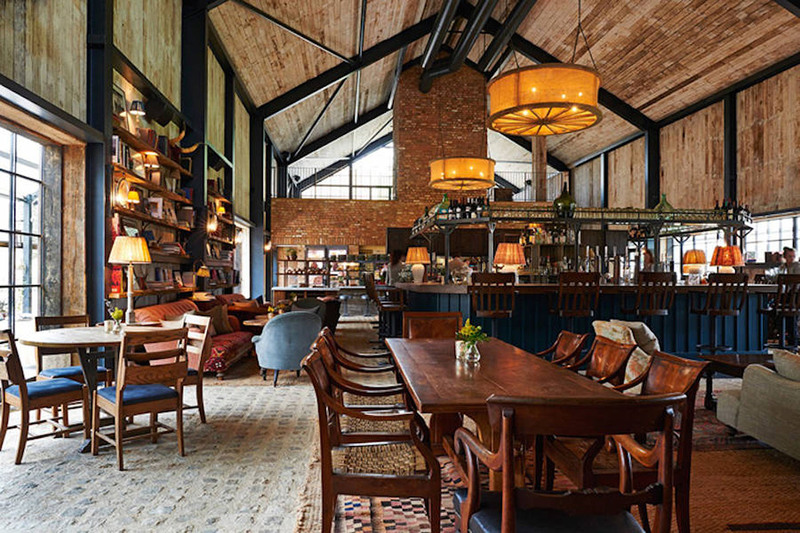 London-based architecture firm Michaelis Boyd collaborated with Soho House's in-house design team to design and develop a countryside retreat named Soho Farmhouse. The private club's latest property opened in Oxfordshire in southeast England and includes 40 individually designed cabins, studio spaces, recreational areas, a cinema and a steam and sauna island. The project included the renovation of some of the existing buildings and the addition of new structures. The Main Barn, located at the center of the property, was conceived as communal space offering drinks and food. The mezzanine level has sofas, a wood fire and contemporary art. The second mezzanine, Fancy Farm, offers a modern approach to well-loved British classics. The Boathouse’s 25m outdoor infinity pool connects to a 16m indoor pool, heated to 30 degrees year-round. The Boathouse is also home to a steam room, sauna and House Ride in the basement. Outside, there is a bar offering light refreshments. There is also a Cookhouse, where members can take cooking classes, with 10 cooking stations for up to 20 people. Opposite the horse stables, Teeny Barn offers activities for children aged two and up. There’s an old horsebox converted into a library, a snug with a TV, a mud kitchen, a wide range of arts & crafts, and a chicken coop with freshly laid eggs. Adjoining Teeny Barn is Teeny Camp, an enclosed adventure playground with a zip wire and teepee. The Boathouse is also home to a steam room, sauna and House Ride in the basement. The Main Barn, located at the center of the property, was conceived as communal space offering drinks and food. The mezzanine level has sofas, a wood fire and contemporary art. The second mezzanine, Fancy Farm, offers a modern approach to well-loved British classics. Outside, there is a bar offering light refreshments. 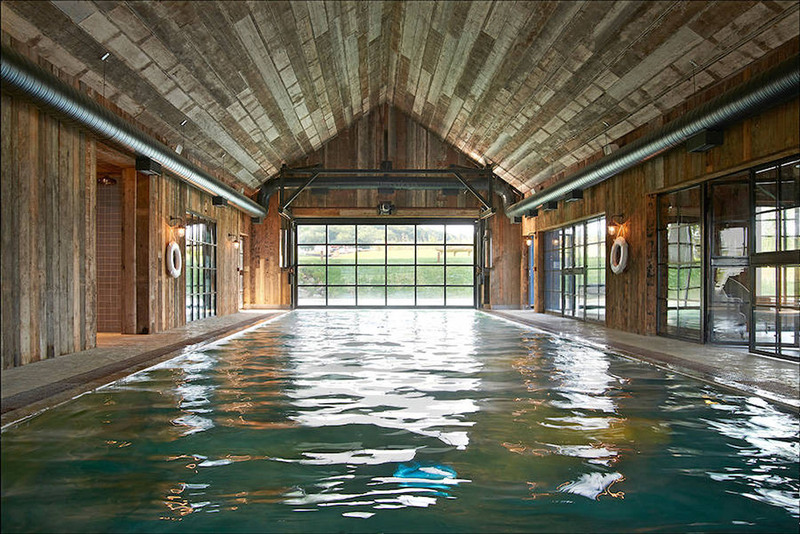 The Boathouse’s 25m outdoor infinity pool connects to a 16m indoor pool, heated to 30 degrees year-round. Opposite the horse stables, Teeny Barn offers activities for children aged two and up, from 9am until 6pm.